It’s happening all around us. In city centers, suburban backyards and on quiet country lanes, the beginning of a revolution is taking shape. The agricultural revolution, for many, is growing into a profitable and life-changing experience. Micro farming for profit focuses on agribusiness using bio-intensive, ecologically sound growing methods, often paired with technology. These 21st-century market gardeners are harnessing bio-intensive sustainable agriculture and strong ties to their community to produce high-quality products and substantially higher profit per acre. Instead of the popular view of struggling small farms on the edge of ruin, micro farmers can realistically enjoy incomes well into six figures. In the process of working hard to profit from their micro farms, micro farmers often find themselves enjoying richer, healthier lives. A 21st-century version of market gardening is steadily putting high quality produce, eggs and more in the nation’s fresh markets and on the table in popular restaurants. These micro farms are also putting profits in their owner’s pockets with more diverse markets for their goods. Here is a closer look at some of these enterprising farmers, what they are doing, and why it matters to them and you. Is it possible to produce a six-figure income from a 2.5-acre plot? 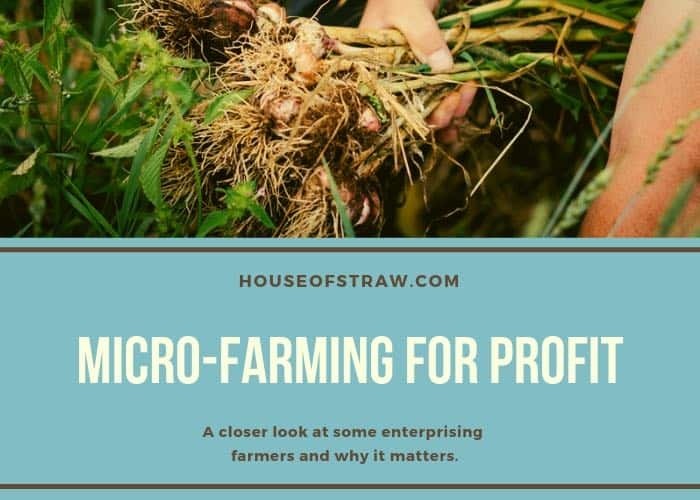 Is micro farming for profit a realistic business model? If you are Canadian farmers Jean-Martin Fortier and Maude-Hélène Desroches, the answer is yes! And they’ve got the numbers to prove it. 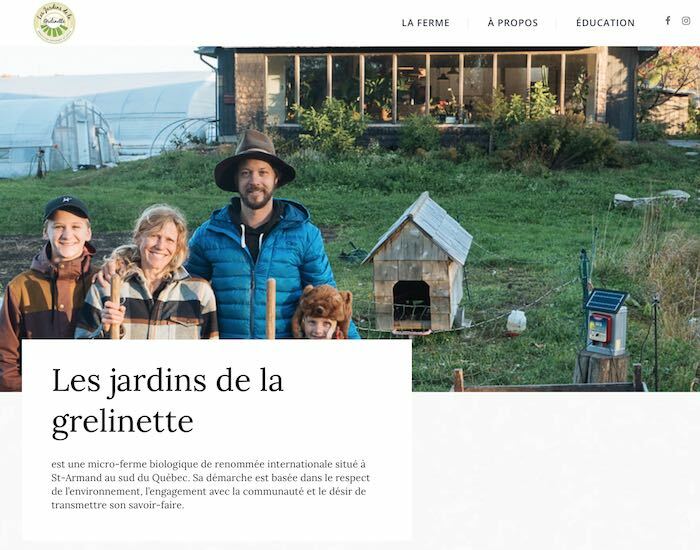 For over a decade, Les Jardins de la Grelinette micro farm consistently produced returns of over $100,000 per year per acre while actively teaching others to do the same. They, like many modern small farm owners, are passionate about sharing ecological human-scale food systems as a profitable alternative to destructive, large-scale industrial agriculture. Sitting on a 10-acre lot in St-Armand, Quebec, Les Jardins de la Gelinette produces 40 varieties of herbs, fruits, and vegetables while only using a quarter of the available space. 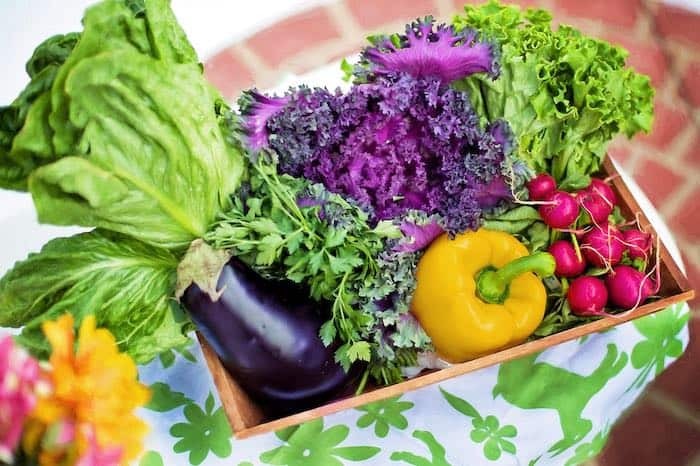 Their revenue comes from four main sources: farmer’s markets, subscriptions to weekly produce baskets during the summer, selling mixed salad greens (mesclun), and the sale of greenhouse plants. Recently, M. Fortier has begun offering The Market Gardener’s Masterclass, an online course for beginning and professional farmers who want to improve their efficiency and grow on a larger scale. This course was built out of the success of his book, The Market Gardener: A Successful Grower’s Handbook for Small-scale Organic Farming. Eliminating the middleman is one way micro farmers get such hefty returns for their crops. Along with direct sales to the consumer at local farmers markets, micro farmers often market directly to local restaurants and families through Community Supported Agriculture shares. Through a Community Supported Agriculture (C.S.A.) shares program, share holders (members) buy a specific share of the micro farm’s harvest, eggs, and sustainably reared meat products. The purchase happens at the beginning of the growing season and sometimes, even earlier. Members share the risks and rewards: if it is a good season, members share the reward of reasonably priced, more nutritious food; if the weather is bad, or there are animal health problems the members receive less. Subscription boxes are popular in summer and winter. In most cases, both the grower and the community benefit with better prices for quality food and better profits for the farmer. Members get the high-quality food they want most and the farmer is rewarded with a guaranteed market. To see Community Supported Agriculture in action, take a trip to Woodstock, Connecticut. That’s where you’ll discover the Taylor family and Devon Point Farm. While not your typical micro farm, Devon Point Farm epitomizes values and techniques required for small farm success. The Taylors produce diversified crops marketed directly to the consumer via C.S.A. shares and on their website. Grass-fed beef, pork and chicken are available for pickup on the farm. Their diversified approach helps the them offer quality products at reasonable prices without the extra cost incurred selling products in the traditional manner. Puns aside, just because farming has been practiced the same way for thousands of years doesn’t mean it lacks innovation. Recent technology and research provides new ways to grow more food in less space than ever before and in climates that don’t typically support gardening. The Chinese recently announced they have grown plants on the dark side of the moon. How did they do that? Using the latest science and technology: LED grow lights and hydroponics. Grow lights have been used for decades, but the latest LED grow lights provide farmers the ability to fine tune the light spectrum and control the growth of their plants. Combined with nutrients provided by modern hydroponics, aquaponics, and aeroponics systems, plants can now be grown indoors and in smaller spaces year round. We The Roots, Aerofarms, TruLeaf, and others have been developing a vertical farming method which stacks plants on shelves beneath strips of LED grow lights. Nutrients are then fed to the plants either through water or by spraying them with a mist. 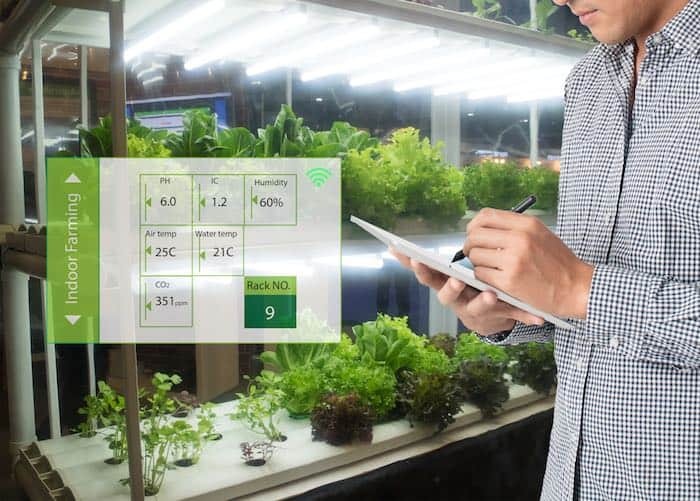 Vertical farming using LED grow lights allows farmers to increase the density of plants per square foot providing opportunities for even the smallest of micro farms. LED and hydroponics technologies are also an opportunity for locations where gardening is impossible, for example northern communities in Canada. Typically, fresh produce in the north must be flown or shipped into remote communities at a hefty cost. With LED grow lights and aquaponics, it is now possible to build a viable garden indoors perhaps even in a shipping container. Fresh vegetables could then be harvested year-round at a reduced cost. The video below highlights how one company, Growcer, is doing just that. This is a tremendous opportunity for entrepreneur farmers in remote communities. Producing large quantities of quality produce on tiny plots of land is not a new idea. Market gardening has a long history going back to medieval times and earlier. Now, a creative approach, technology, and dedication to sustainable agriculture are once again making producing good food an integral part of the community.